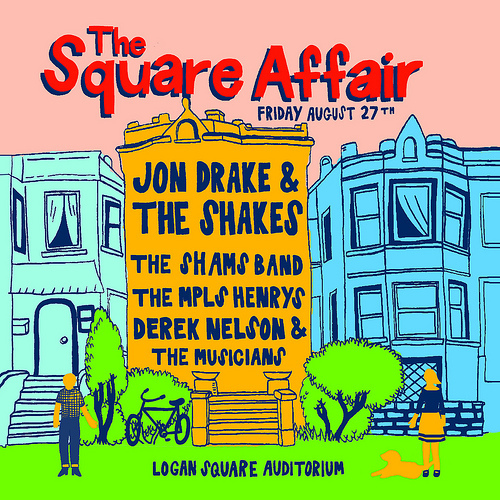 The four bands — Jon Drake & the Shakes, The Shams Band, The MPLS Henrys, and Derek Nelson & the Musicians — aren’t just fantastic bands with local roots. They’re all fantastic bands who are located in Logan Square. Who better to celebrate the neighborhood? Doors open at 8, and the show itself starts at 9. Tickets are $8 in advance or $12 at the door. Check out the website for The Square Affair for more information. If you’re unfamiliar with the bands, there’s a free sampler available for download on Bandcamp.